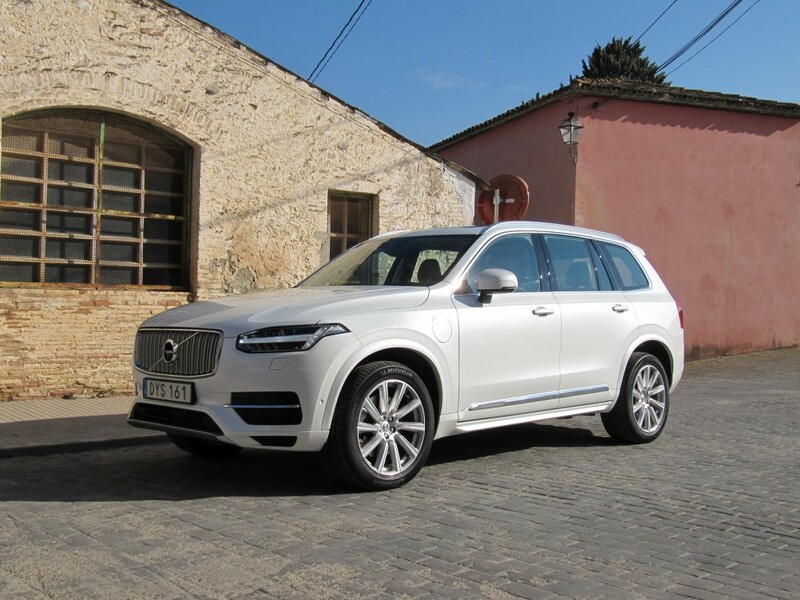 The 2016 Volvo XC90 is now the three-row luxury SUV to beat. At least, it would seem that way given that its big win as 2016 Motor Trend SUV of the Year. U.S. News and World Report has named it the 2016 Best Luxury Three-Row SUV for Families. The XC90 T6 and T8 editions seat seven in three rows in a bigger interior. The second row seats slide and recline. They also enjoy 2.4 inches more legroom than before. There’s an option for a built-in booster seat that can slide forward to be nearer to the front passenger. The T5 seats five and has a larger cargo area. The third row, which seats two, is spacious enough for the class, but adults won’t ask to sit back there. As roomy as it is, it’s still hard to recommend the back row for a six-footer, making it less appealing to those with growing teens. The Volvo XC90 has been fully redesigned for 2016. That’s saying a lot since the last time it was overhauled was in 2003. There’s a new body structure underneath and a more efficient engine under the hood. A hybrid is also available. The new look is assertive. Offset by slimmer headlights, there’s a larger grille with bigger lower air intakes. This SUV stands tall with 9.3 inches of ground clearance. The 2016 Volvo XC90 is offered in T5, T6, and T8 editions. These, in turn, are offered in Momentum, R-Design and Inscription trims. The XC90 T6 Momentum does better than its luxury rivals at living up to its pricetag. The three-row T6 is priced at under $50,000, and it comes with some amazing safety technology and an all-leather interior. A two-row Jeep Grand Cherokee retails just a few thousand less than the three-row XC90, and a Range Rover would cost tens of thousands more. It certainly seems like a value for families who want upscale features. The T5 starts at over $43,000 but you’ll have to option the leather seating. The leather-clad T8 has a starting pricetag around $68,000, and that climbs quickly with the higher trim levels. 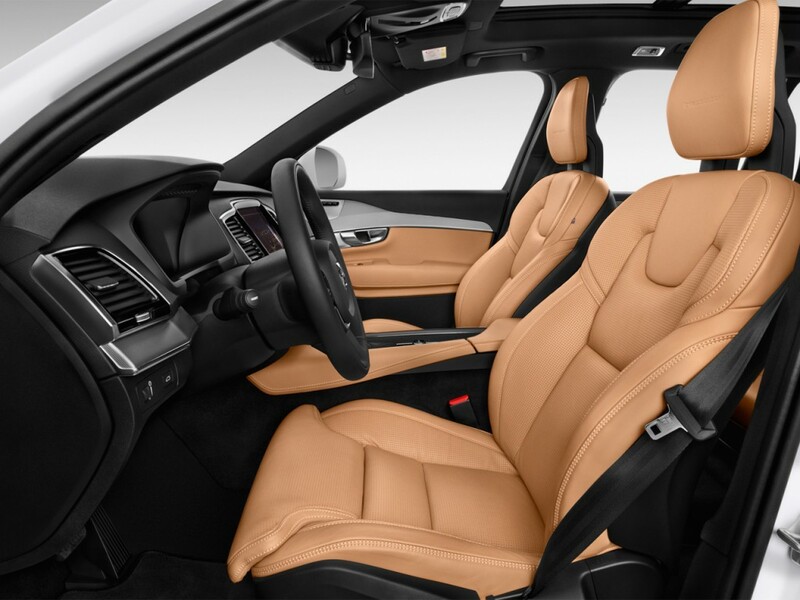 Volvo offers a high quality mix of leather and wood. The new cabin is remarkably airy and boasts a standard panoramic sunroof on all editions. The kids will be more comfortable thanks to a quad-zone climate control system that lets the back rows set their own thermostat. A new iPad-like touchscreen sits vertically on the dash. The Sensus, as it is called, is easier to use than many others. The layout will be familiar to iPhone and iPad users. Furthermore, it has plenty of processing power that many other systems don’t. Standards include HD radio and Apple CarPlay. The cargo area has a sub-floor compartment and a standard hands-free power liftgate. For the T5, Volvo has employed a mere four-cylinder engine which generates only 250 horsepower. That’s not much for a big SUV. However, the T6 enjoys a four-cylinder that’s been supercharged and turbocharged. This combination allows it to crank out 316 horsepower. Car and Driver reports that T6 does the 0-60 sprint in just over 6 seconds. That’s remarkable for something that weighs more than 4,600 pounds. It’s due in large part to the SUV’s 295 lb.-ft. of torque thrust. You’ll notice the weight, however, because there is a lag in acceleration when passing on the highway, according to Car and Driver. The eight-speed gearbox doesn’t quite fix the problem. There’s a lot of bragging over the fuel economy, but the numbers may not stand up to real life use, according to Car and Driver. The T8 Twin Engine offers up to 25 miles in the purely electric EV mode. This remarkable powertrain has a combined power rating of 400 horsepower and 472 lb.-ft. of torque. When you compare that to the 121 horsepower of a Prius, the best known hybrid, you can see how powerful this edition really is. There’s no loss of cargo space or passenger space, a plus when compared with many hybrid editions of popular brands. Earning a Top Safety Pick Plus designation from the Insurance Institute for Highway Safety, the XC90 has demonstrated its worthiness in crash testing. The T6 has a frontal collision warning that’s improved by automatic braking functions. The City Safety System has a lane departure warning, pedestrian and cyclist detection, and avoidance capability. The all-new run-off-road system protects passengers by tightening seatbelts and using the seats to actively cushion against any blows to the suspension. Shoppers can also choose a blind spot monitor, a surround-view camera, active parking assistance, and adaptive cruise control. All-wheel drive is standard on the XC90, helping the SUV earn its pricetag. However, handling and ride quality may not meet the standards of many who can afford an upscale ride. Frankly it’s tough to get a vehicle this big to just sail over the bumps without it being felt in the cabin. Consumer Reports complains that you’ll feel every road imperfection and ripple. Edmunds agrees, but it does praise the SUV’s handling on curves. If you opt for the full-air suspension, you can enjoy a better experience. Ride quality improves with the system’s auto-leveling and automatic ride-height adjustment capability. Once a sleeping giant, the 2016 Volvo XC90 has definitely emerged as a true competitor once again. With major awards on its shelf, it is sure to attract many upscale shoppers. The best deal is definitely the T6 Momentum. For those who can afford the higher trim editions, however, a pile of luxuries and advanced technologies will be incentive enough to spring for the steeper price. Thinking of buying a Volvo XC90? Already own one? Leave a comment and let us know what you think!